We went with the Great Dane because of Durability. We felt you get a lot of Trailer for the price. The sales man, Mr. Scott Kinsman, is very nice and helpful in a professional way. It was really nice working with Scott. I look forward to work with Maxim. Everything is good. We covered the corrugated floor with plywood to suit us better. Very good experience dealing with Scott. he will have our business again on our next purchase. 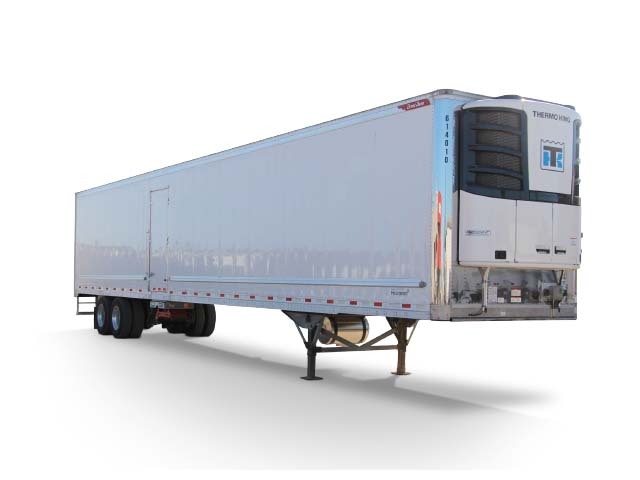 We purchased a new Great Dane Everest SS refer trailer from Scott Kinsman at Maxim. The process was pleasant, and more importantly the transaction was Perfect. Scott's attention to detail is nothing short of remarkable. The trailer was built on time and was delivered when expected. The service experience was great. Maxim looked after the Safety and had the refer installed. All went very well. Thank you. Everyone at Maxim was very helpful. Thanks for everything. We where very pleasantly surprised by how light it was . It was an overall excellent experience. Maxim was quick with delivery, and met all of my needs. I would recommend them to anyone.